1. 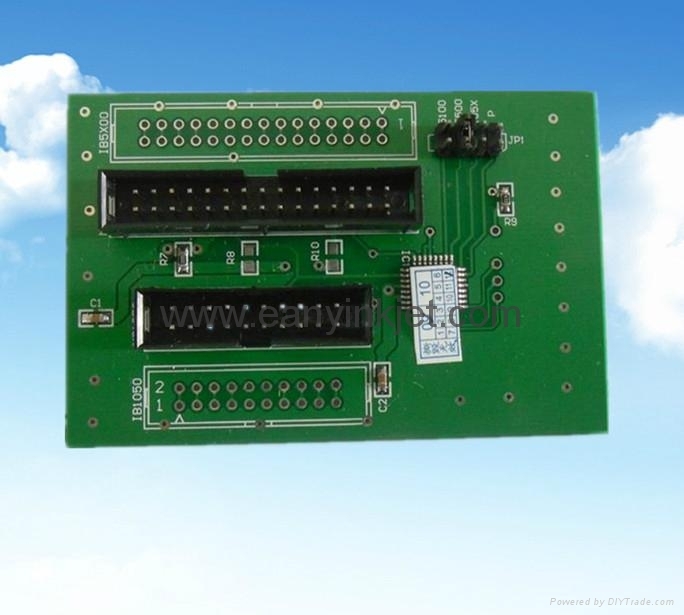 For use with chip decoder for HP90,HP100,HP120,HP130,HP500,HP800. 2,After install this decoder, user could utilize third party ink,and save printing cost a lot. 3,To use this decoder ,it will not influence, the guarantee agreement from the printer manufacturer. (1)Turn off the printer power,and pull out the plug. (2)Remove the right side cover of printer (power plug side). (3)Insert the jumper into the respecitive postion in JP1 location(for example HP 130 printer,insert the jumper into 130 location). 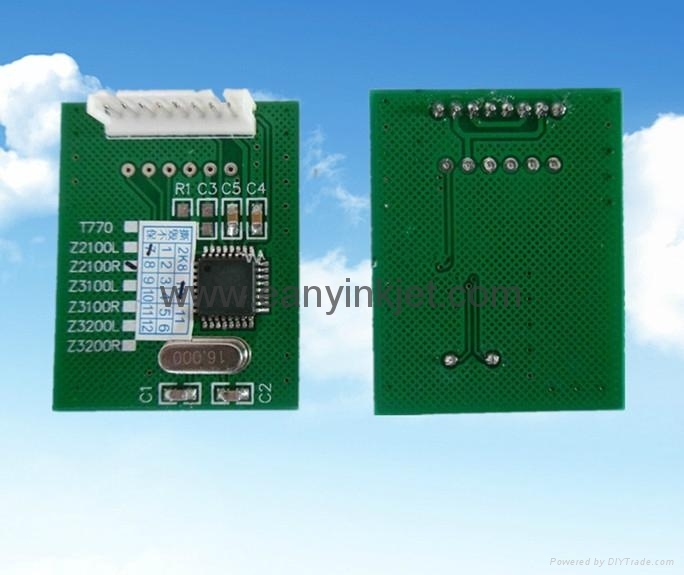 For HP100,HP120,HP 130 printers, then pull out the J1,J3 plug from the printer,and connect it to J-1x0 and J3-120/130 location(HP100 is J3-100)socket, and do not plug in other socket. (5)Fix the e-card on the plastic frame . (6) Install the outside cover back ,and turn on the printer.